1.excellent quality:304# stainless stell,Panasonic microwave magnetron. 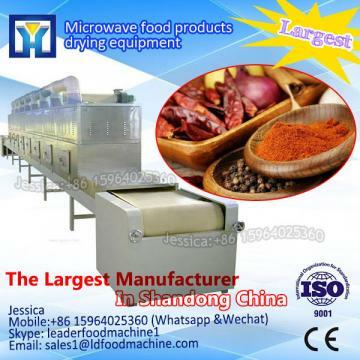 2.save energy:can save about 30%~60% energy than normal drying machine. 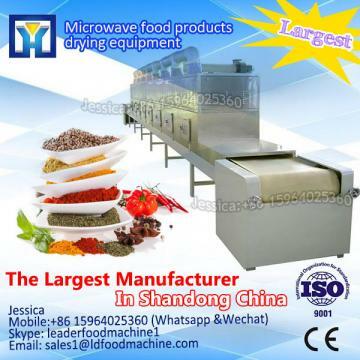 4.reasonable price :we supply the best machine with reasonable price. 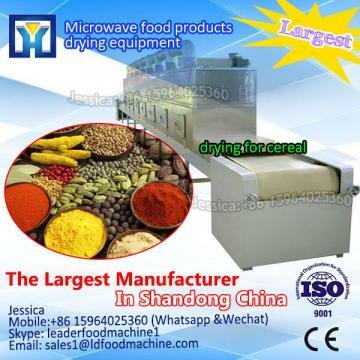 This machine is widely used for drying and sterilization power,granular,flakes or colloidal form foods,nutritional heaLDh products,grain,agricuLDural and sideline products(rice cornmeal),bamboo shoot,tea(wide chrysanthemum flower,broadleaf holly leaf,lotus leaf,green tea,black tea,pure tea),ginseng,mushroom,agaric,ganoderma,vegetables and fruits(spinach,carrot,parsley,onion,mango slice,apple slice,lemon slice,kiwi slice,banana slice etc),preserved fruits,red juice,non-fired(oil saving)instant noodles,cookie,biscuit,rice powder noodles,chicken jerky,preserved meat,dried fish,seafood(seaweed,sea cucumber,laver,kelp,sardine,shrimp,abalone etc),pickles,spices(pepper powder,chicken essence,beef essence,pork essence,yeast extract,seafood extract,seafood soup essence,seafood soup powder,spareribs soup pure,spareribs soup powder,spices,chili powder,ginger powder,garlic powder,aniseed,cinnamon,angelica,cumin,cassia bark,fennel etc),egg yolk powder,jam,a variety of small packaging and pet food mildew sterilization preservation. Pls feel free to call me for more details! 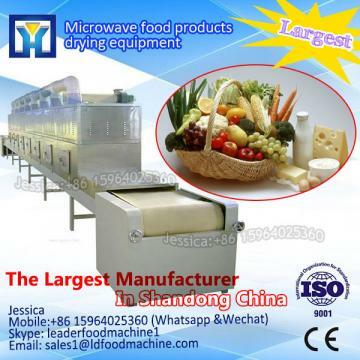 If you interesting in LDord Bean BeLD Type microwave drying Machine ?kindly ask me, Shandong industrial microwave oven can give technical support and service.